A popular site to view the WEBN Fireworks, the Serpentine Wall at Yeatman’s Cove was completed in 1976. 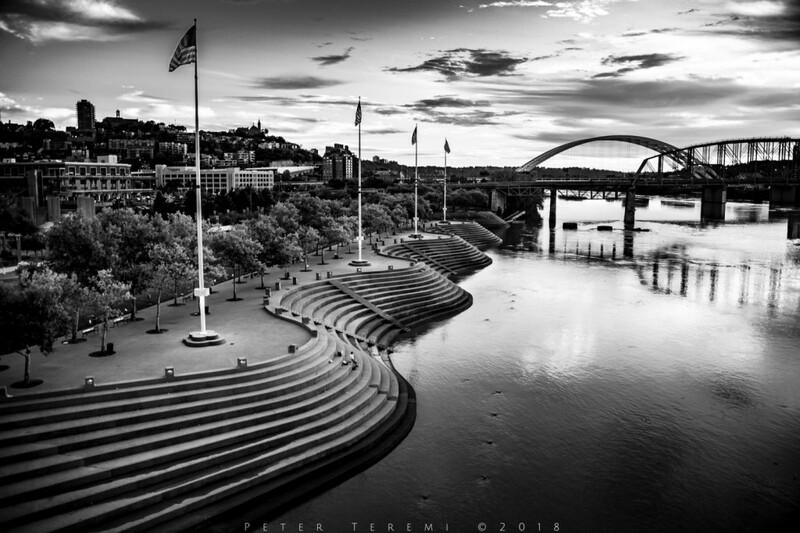 The snake shaped flood wall features steps leading down to the Ohio River and is located in Yeatman’s Cove Park. Yeatman’s Cove is named for the first tavern in Cincinnati, established in 1793 by Griffin Yeatman. We hope you enjoyed the history lesson! TGIF from the Murphy-Cam Project!